Home » Free » Temporary » Crunchyroll-Hime! 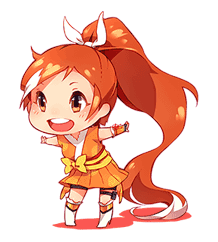 http://www.line-stickers.com/ – Crunchyroll-Hime! Line Sticker | The one and only Crunchyroll-Hime has finally made her LINE debut! Friend Crunchyrollʹs official account to get these stickers. Available till December 9, 2014.